Popular medical marijuana company, Tilray, and many more will report their earnings to the market this week. Pay close attention to these companies! 1. Cushman & Wakefield Inc. (NYSE: CWK) are going to report earnings after market close on November 13th, Tuesday. 2. 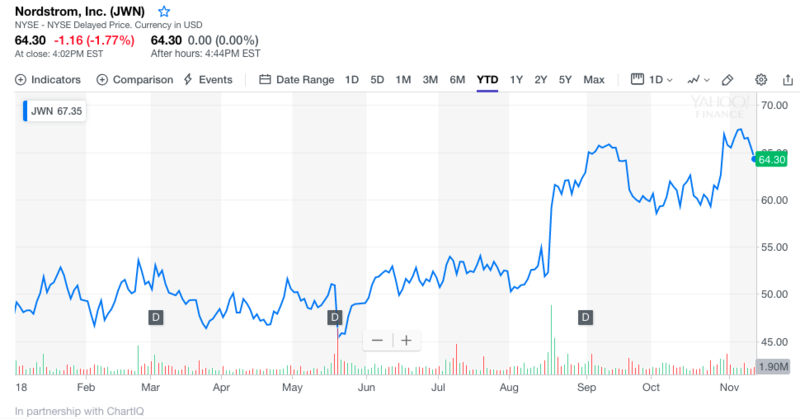 SurveyMonkey (NASDAQ: SVMK) are going to release Q3 earnings after market close on November 13th, Tuesday. 3. 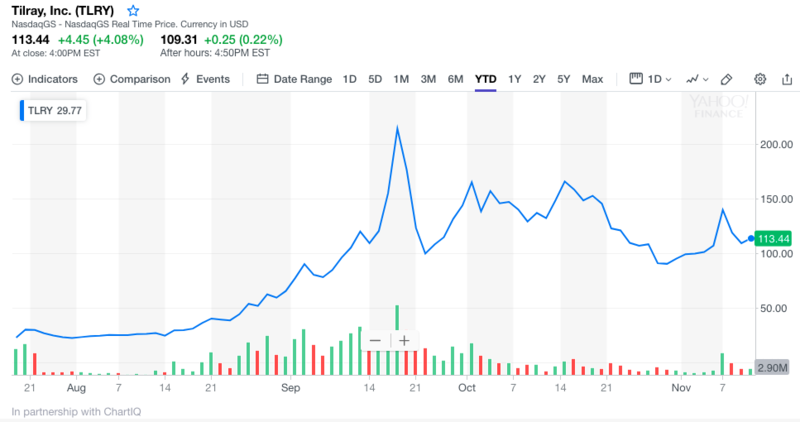 Tilray (NASDAQ: TLRY) are going to report Q3 earnings after market close on November 13th, Tuesday. 4. 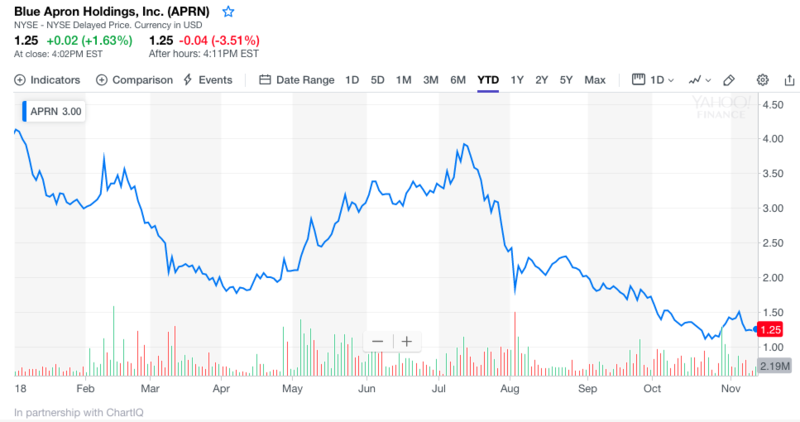 Blue Apron Holdings, Inc. (NYSE: APRN) are going to report Q3 earnings before market open on November 14th, Wednesday. 5. Macy's, Inc. (NYSE: M) are going to report Q3 earnings before market open on November 14th, Wednesday. 6. 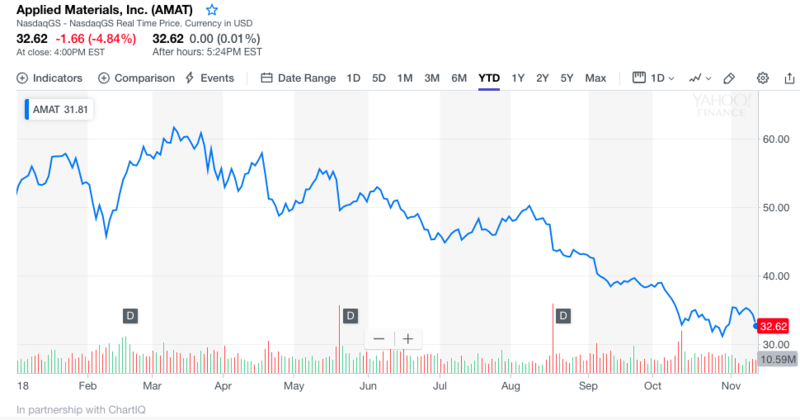 Cisco Systems, Inc. (NASDAQ: CSCO) are going to release fiscal 2019 Q1 earnings after market close on November 14th, Wednesday. 7. Walmart Inc. (NYSE: WMT) are going to report Q3 earnings before market open on November 15th, Thursday. 8. Applied Materials, Inc. (NASDAQ: AMAT) are going to release Q4 earnings after market close on November 15th, Thursday. 9. Nordstrom Inc. (NYSE: JWN) are going to release Q3 earnings after market close on November 15th, Thursday. 10. Nvidia Corporation (NASDAQ: NVDA) are going to release Q3 earnings after market close on November 15th, Thursday. 1. Cushman & Wakefield Inc.
Cushman & Wakefield Inc. (NYSE: CWK) are going to report earnings after market close on November 13th, Tuesday. Consensus EPS is 18¢, and consensus revenue is $1.91 billion. This is the first time they will release earnings since going public. 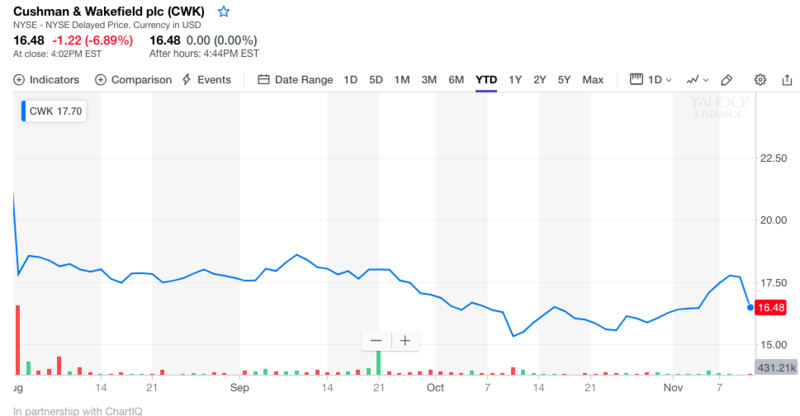 SurveyMonkey (NASDAQ: SVMK) are going to release Q3 earnings after market close on November 13th, Tuesday. Consensus EPS is -37¢, and consensus revenue is $62.9 million. 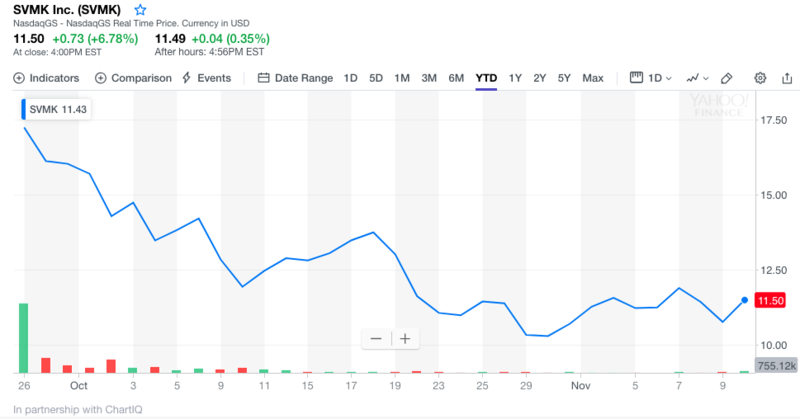 Tilray (NASDAQ: TLRY) are going to report Q3 earnings after market close on November 13th, Tuesday. Consensus EPS is -12¢, and consensus revenue is $10.25 million. Sales growth was +94% year over year. The big jump in revenue was driven by increased demands in Canada, and international sales of Licensed Producers. Total kilogram equivalents sold increased by 745 kilograms to 1,514 kilograms compared to the prior year. Average net selling price per gram was $6.38, and the price was $6.20 last year. This increase was primarily due to growth in higher potency products. 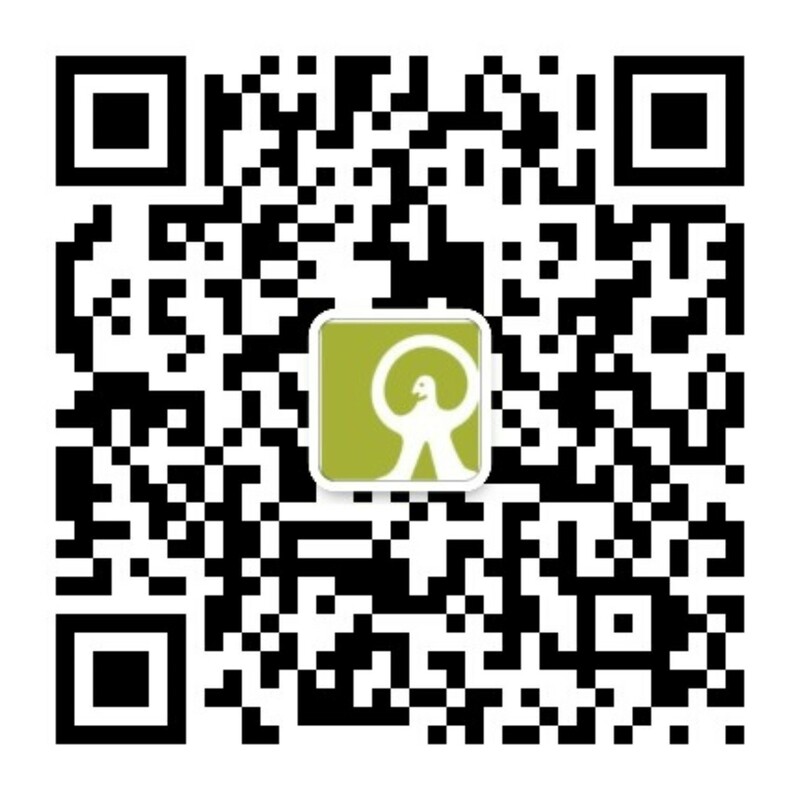 The company has a good market position both in Canadian domestic and international market. Cannabis has a wide range of uses and can be used in medical products, alcoholic beverages, food, soft drink and tobacco. Germany revised law to admit insurance coverage for medical cannabis use, and we think the EU will open their regulations as soon as possible. Now it is studied to make out medical prescriptions Epilepsy. The cannabis market is growing to $150 billion, and market gross margin is turning 50%, EBITDA margin is growing in to a range of 25-30%. 4. 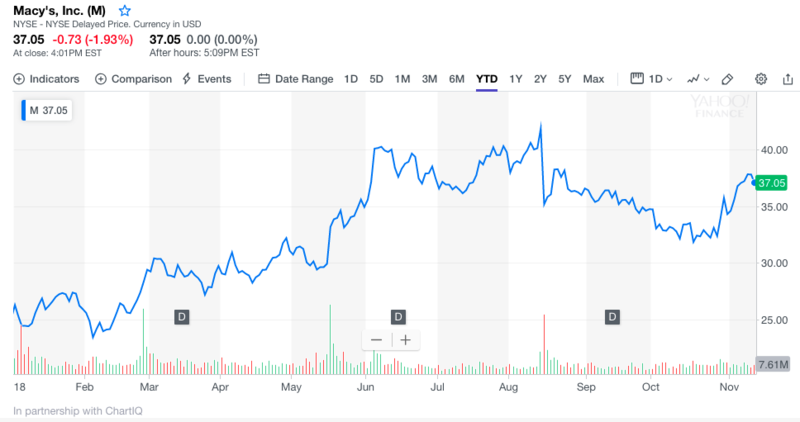 Blue Apron Holdings, Inc.
Blue Apron Holdings, Inc. (NYSE: APRN) are going to report Q3 earnings before market open on November 14th, Wednesday. Consensus EPS is -21¢, and consensus revenue is $157 million. Sales growth was -24.6% year over year. Blue Apron lowered Q3 revenue guidance from $205 million to a range of $150million to $160 million. Macy's, Inc. (NYSE: M) will report Q3 earnings before market open on Wednesday, November 14th, Wednesday. Consensus EPS is 14¢, and consensus revenue is $5.43 billion. Sales growth was -1.1% year over year. Same store sales were -0.7%in light with expectations. The revenue was driven by overall strong demand. Digital business continued strong growth. Sales from Macy’s applications were 50% higher than the same period last year. Macy's, Inc. is updating its guidance for fiscal 2018. The company now expects EPS of $3.95 to $4.15 from previous expectation of $3.87. Also, the management forecasts revenue in a range of $24.84 billion to $25.02 billion from previous expectation of $24.87 billion. The company expects comparable sales growth of 2-2.5%. 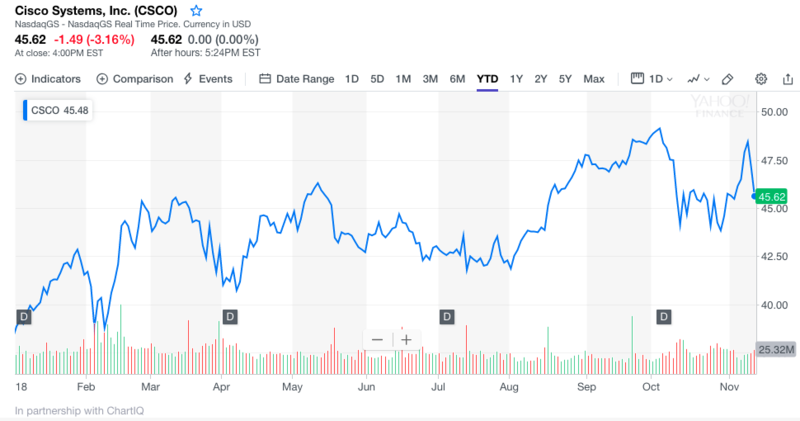 Cisco Systems, Inc. (NASDAQ: CSCO) are going to release fiscal 2019 Q1 earnings after market close on November 14th, Wednesday. Consensus EPS is 72¢, and consensus revenue is $12.86 billion. Sales growth was +5.9% year over year. Product revenue was up 7% and service revenue was up 3%. Gross margin was 62.9%, which was just lower than guidance of 63%-64%. Recurring revenue as a percentage of total revenue was 32%, up 1% year over year. Revenue based on geographic segments were: Americas up 5%, EMEA up 8%, and APJC up 6%. Product revenue with growth in Security, up 12%, Applications, up 10%, and Infrastructure Platforms, up 7%. Cisco raised Q1 EPS guidance in a range of 70¢~72¢ from previous EPS estimation of 69¢. Also, the company forecasted Q1 revenue in a range of $12.74 billion to $13 billion rather than previous expectation of $12.58 billion. Management expected gross margin rate to be in between 63% to 64%, and operating margin rate to be in between 30% to 31%. Walmart Inc. (NYSE: WMT) are going to report Q3 earnings before market open on November 15th, Thursday. Consensus EPS is $1.02, and consensus revenue is $124.41 billion. Sales growth was +4.2% year over year. Same-store sales in the U.S increased by 4.5% compared to the expectation of 2.4%. Walmart had robust sales in fresh food grocery, apparel departments and seasonal supplies. Both customer numbers and average customer basket cost increased. Same-store sales of Sam’s Club climbed 5.0% year over year, which was the highest increase in the past 6 years. Walmart raised EPS guidance for fiscal year 2019 in a range of $4.90 to $5.05 from previous estimate of $4.80. Also, the management forecasted +3% of growth in the same-store sales in U.S. 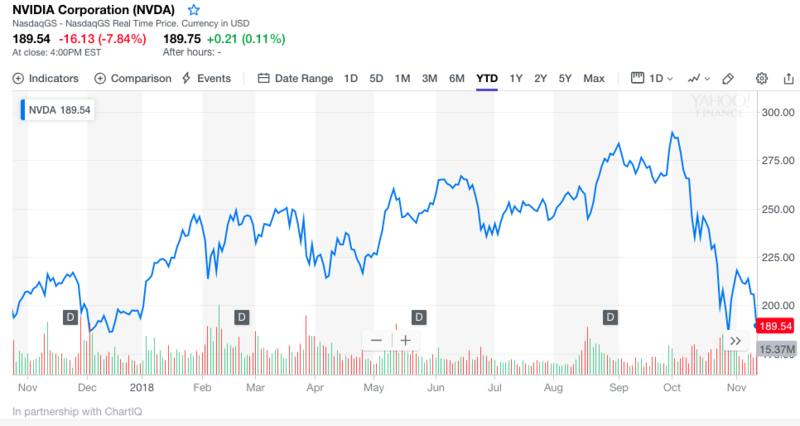 Applied Materials, Inc. (NASDAQ: AMAT) are going to release Q4 earnings after market close on November 15th, Thursday. Consensus EPS is 97¢, and consensus revenue is $4.01 billion. Sales growth was +19.3% year over year. The company lowered Q4 EPS earnings in a range of 92¢ to $1.00 from previous estimate of $1.16. Also, the company lowered revenue guidance in a range of $3.85 billion to $4.15 billion from $4.45 billion. The company commented “Our customers had been cutting down their investment in equipment". Nordstrom Inc. (NYSE: JWN) are going to release Q3 earnings after market close on November 15th, Thursday. Consensus EPS is 65¢, and consensus revenue is $3.67 billion. Sales growth was +7.1% year over year. Same-store sales were up 4.0% compared with estimated 1.0%. Full-Priced sales increased 4.1% for the quarter; driven by strong demands of Beauty and Kids departments. Off-Price, sales were up 4.0% too. Sales from reward program customers contributed 58% to the revenue in the quarter, compared with 56% the same period last year. Gross margin rate improved 91bp to 35% in Q2. Nordstrom raised fiscal year 2019 EPS guidance in a range of $3.50 to $3.65 from $3.46, but the company lowered the revenue guidance from $15.78 billion to in between $15.4 billion and $15.5 billion. 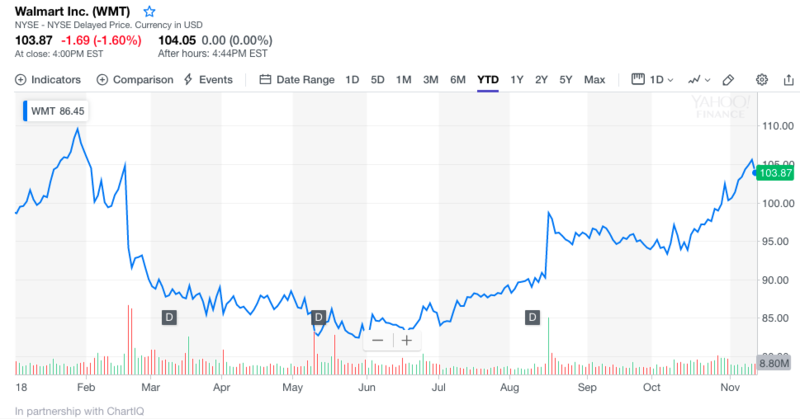 Nvidia Corporation (NASDAQ: NVDA) are going to release Q3 earnings after market close on November 15th, Thursday. Consensus EPS is $1.92, and consensus revenue is $3.24 billion. Sales growth was +40.0% year over year. Gross margin rate was 63.5%, which was the same as guidance. Data Centre revenues exceeded estimates and reached $760 million compared to $744 million projected. Gaming business gained $1.8 billion in revenue, up 52%. The professional visualization category produced $281 million in revenue, up 20%. Automotive segment came in at $161 million, up 13% year over year. Nvidia lowered Q3 EPS guidance from $1.99 to in between $1.85 and $2.02. Also the management expected revenue to be in a range of $3.19 billion to $3.32 billion from previous estimation of $3.34 billion. This report was contributed by Takao Hirose, Contextual Investments, LLC., published on 12/11/2018.